It's the season for baking and singing Christmas carols! Make a batch of these cookies for all your family and friends this holiday! ½ tsp Amoretti® Peppermint Extract O.S. ½ tsp Amoretti® Cinnamon Oil Extract O.S. Thoroughly mix together butter, sugars, eggs, Madagascar Bourbon Vanilla, Peppermint and Cinnamon Extracts. Add in flour, salt, baking powder, and white chocolate chunks. Mix well. Roll into 1" balls and spread out on cookie trays approximately 2 inches apart. 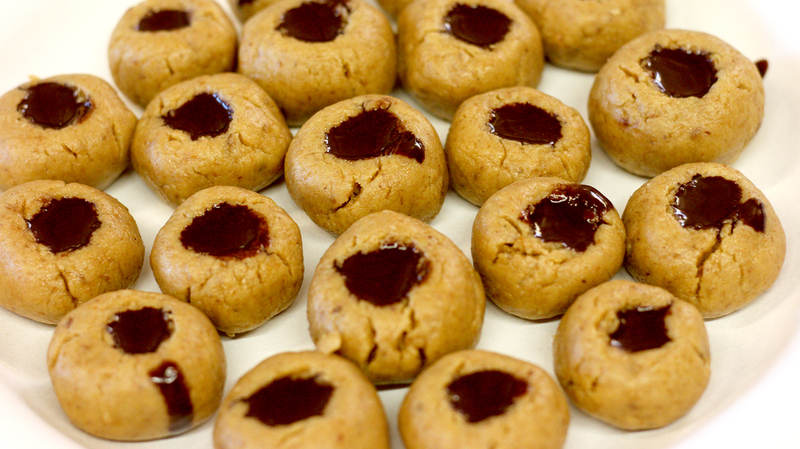 Once removed from the oven, while the cookies are still hot, make thumb-sized indentations in the centers of the cookies. Be careful; a handle of a spatula or something similar will work just fine. Let the cookies cool, meanwhile melt the dark chocolate. Fill the indentations with melted chocolate and enjoy!